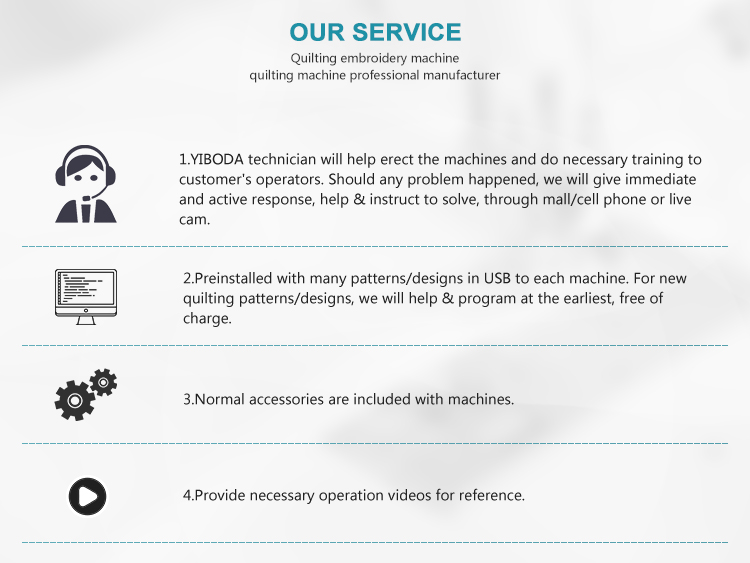 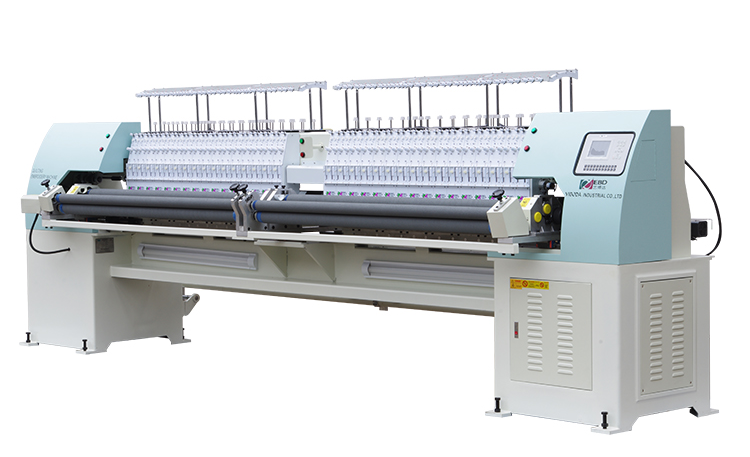 .Sectionalized Quilting Embroidery machine can be customized according to the client`s specific need. 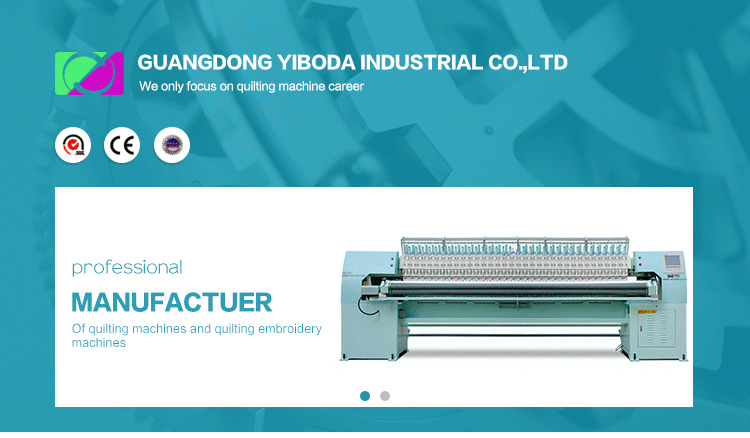 .It can embroider two rolls of fabrics simultaneously;the workable width of each side can reach 1600mm. 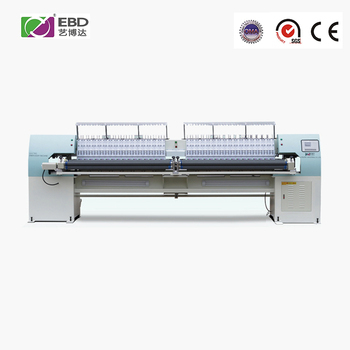 .The usual size of the machine is:(L)5470mm (W)1300mm(H)1650mm. 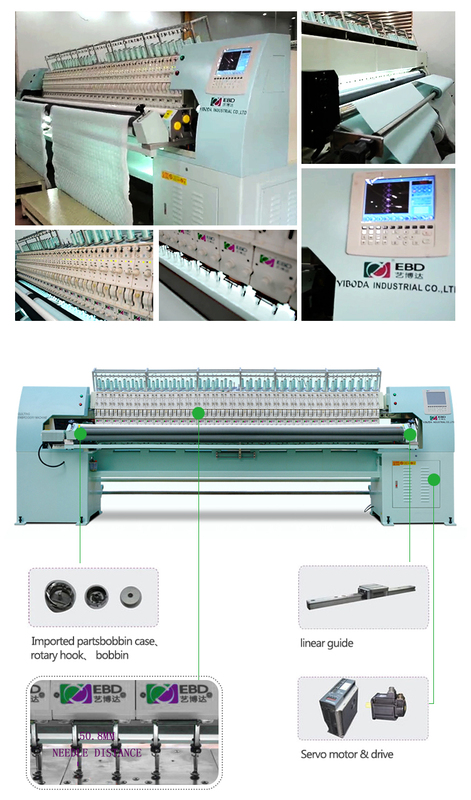 The most advantage of this machine is smoothly and accurately to embroider single layer fabric,suitable for garments,hand bags,lace,curtains,car cushion,sofa and upholstery etc.